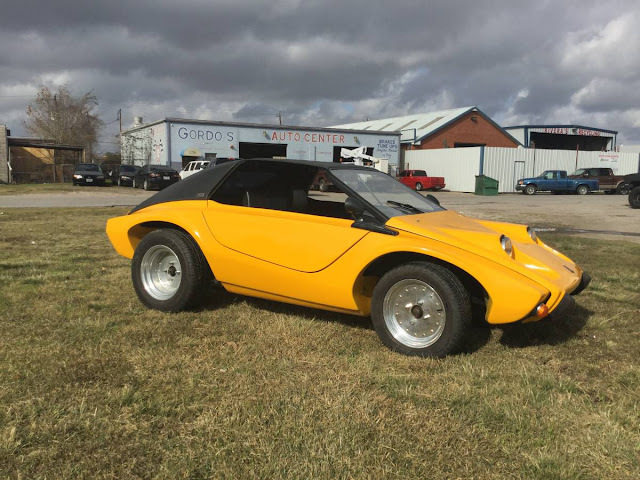 The Meyers Manx was the original dune buggy for the masses, but the roofless/doorless/windowless setup isn't for everyone, so Bruce Meyers designed the SR2 version and this one was built by Karma Coachworks out of Westminster, CA. 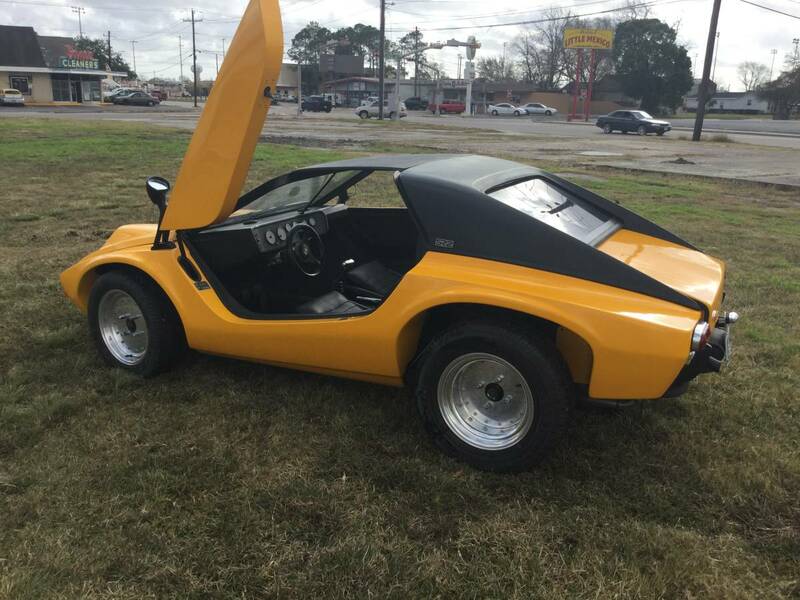 Find this 1973 Meyers Manx SR2 offered for $10,000 as a roller or $15,000 with dual port engine in Pasadena, TX via craigslist. Tip from Rock On! This little gullwing door equipped freak is being sold by Texas based Bugoholics, which is described as an air-cooled Volkswagen Auto Repair Shop and Parts Warehouse. The car is offered as a roller, or with a rebuilt 3.88 transaxle & Rebuilt Engine: Either Std, Std, Std 1600cc dual port OR 1679cc Dual carb Engine for a few more bucks.